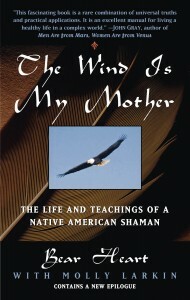 “The Wind is My Mother; The Life and Teachings of A Native American Shaman” chronicles the life and teachings of a full-blood healer and counselor of the Muskogee-Creek Nation: Marcellus “Bear Heart” Williams. Bear Heart passed away in 2008 at the age of 90, but his wisdom and inspirational lessons live on in this book. Originally published in 1996 by Random House, it has been in continuous print since then, and translated into 12 languages. 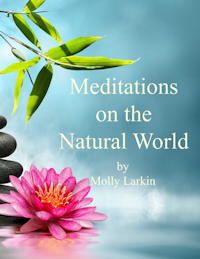 In February 2012, the Berkley Publishing Group released an updated version including an Epilogue by co-author Molly Larkin with additional stories of his life and work. Please feel free to explore this website to learn more about this beloved book and this remarkable man.